Dr. Moshe Bernstein is a professor of Bible at Yeshiva College of Yeshiva University. He also taught at Stern College for Women for 20 years. His teaching encompasses both basic and advanced courses, ranging from Introduction to Bible, Biblical Hebrew and Classical Jewish Intellectual History to specialized courses in Literary Approaches to the Bible, Dead Sea Scrolls and Early Biblical Interpretation. 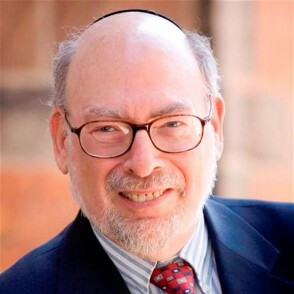 In addition to his academic and scholarly activities, Dr. Bernstein is a frequent lecturer on a variety of aspects of Tanakh and Judaism in antiquity at synagogues in the New York area and across the country. Dr. Bernstein is a graduate of Yeshiva College and received his semikha (rabbinic ordination) at the Rabbi Isaac Elchanan Theological Seminary. He holds MA and PhD degrees from Fordham University in classical languages. Dr. Bernstein also received a master’s degree in Semitic languages from the Bernard Revel Graduate School of Jewish Studies, where he later did advanced graduate work in biblical studies. How did We Read the Bible Before Commentaries?